Fall Landscaping Checklist - Executive Landscaping, Inc.
Summer is quickly winding down, which means preparing to get the kids back to school, preparing your mind to get back to reality after that wonderful vacation…and preparing your landscaping for fall. Get ready to break out the fall landscaping checklist. Cringe all you want, it’s a necessary evil that comes with the joys of property ownership. Granted, it’s also one you can easily shift onto the shoulders of a local landscaping professional. But, whether you hire out the work or opt to get all “DIY,” a fall landscaping checklist ensures that your yard is ready for the season ahead. First up is trimming. Trimming the grass short in the fall is important for the prevention of disease so that your lawn is healthy in spring. Another must-do on the fall landscaping checklist is aeration, which is important for breaking up soil that has compressed under the weight of rainwater over the past season. Without aeration, the compacted soil does not allow nutrients to reach the roots of your grass. Once you’ve aerated, fertilizer is next on the list so that your yard is properly fed and ready to withstand winter when it comes. Fall fertilizing helps ensure that the grass is greener during the spring growing season. One very simple thing on the fall landscaping checklist is gathering up the fallen leaves that tend to accumulate during the season. Granted, its slightly annoying, but it IS necessary to prevent the ground from being covered with a layer of leaves that have the potential of causing mold, trapping too much water or preventing sunlight from reaching your lawn during winter. Pruning plants is necessary, as well. 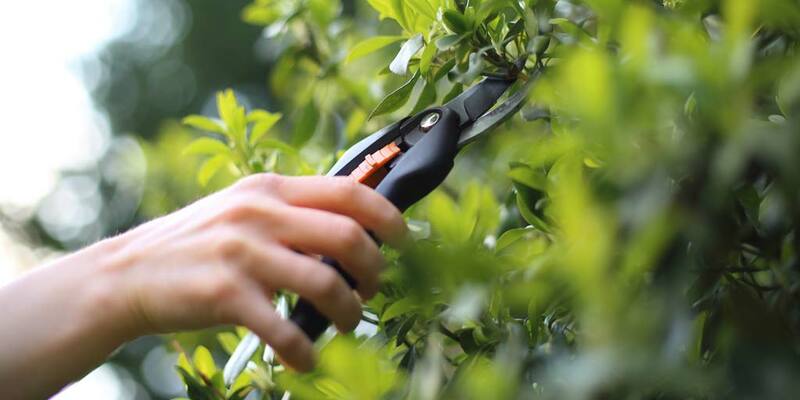 Cutting away the dead or dying parts encourages healthy growth in spring, and cutting back perennials makes them focus their energy on their roots rather than on their leaves. Fall soil is nice and moist and provides the perfect environment for new plants. Including planting on your fall landscaping checklist is wise because that moist soil sets them up for success in the spring when growing season starts, but be sure to mulch around them to protect their roots from soil erosion. As fall begins, create a fall landscaping checklist so that your yard is well prepared to weather through winter and so that spring is as green and vibrant a growing season as possible. At Executive Landscaping, Inc., we’ll help you tackle your fall landscaping checklist and create a masterpiece worthy of falling for. Ready your garden beds for planting when spring rolls around and plant spring bulbs now. Use containers as a planting space for plants and flowers that are cold-hearty so that your yard doesn’t lack color in winter. Bring any houseplants you may have outside indoors, but make sure they’re free of pests and disease. Wrap your more delicate garden plants with fleece to keep them warm when things get chilly. Spread mulch over garden areas with tender perennials so that they’re insulated from the cold. Overseed the lawn and apply fall fertilizer to your grass. Plant your garden with rosebushes, shrubs, trees, and hedges that will all start to come into their full glory in spring and summer. Trim any late-flowering shrubs you may have so that they’re not damaged by winter’s wind. Rake the lawn free of leaves and remove compost build-ups to prevent the development of rot. Give the landscaping experts at Executive Landscaping, Inc. a call to learn more about how to check off everything on your fall landscaping checklist today!